Ambassador Strieder has said he appreciates the work done by Iwacu despite a number of challenges.”It takes courage to continue informing people about what’s happening in the country given the challenges the newspaper is faced with,” he says. As for Léandre Sikuyavuga, Editor-in –chief, he says Iwacu is not at the service of any party or ideology but rather strives for quality journalism. 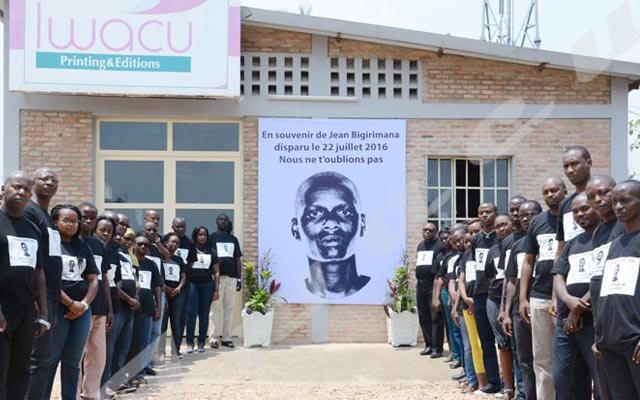 “Despite the difficult situation of the press in the country, 38 journalists from different services strive to give credible information to all the audience of Iwacu from inside and outside the country,” he says.